KCS will recognize and induct the third class of the KCS Hall of Fame on Tuesday, August 1. Published on July 27, 2017 at 1:46 p.m. WHEN: Tuesday, August 1 at 11 a.m.
Kingsport City Schools will recognize and induct the third class of the Kingsport City Schools Hall of Fame during the back to school teacher Convocation event on Tuesday, August 1. 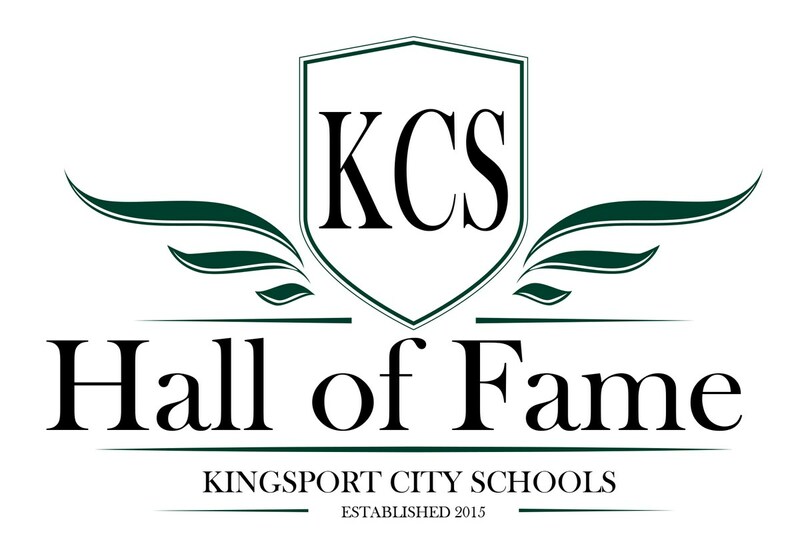 Established as the keystone award for former employees, the KCS Hall of Fame recognizes those individuals that have most impacted the Kingsport educational community during their careers with KCS. Mrs. Celia Bachelder. Celia Bachelder retired in 1995 after 20 years with Kingsport City Schools. During her tenure, she founded the orchestra at Dobyns-Bennett High School and served as orchestra director at both Robinson Middle School and Dobyns-Bennett. An excellent string educator who received numerous accolades in Tennessee and across the nation, Bachelder was the first female and the first orchestra director named to the East Tennessee Band & Orchestra Association (ETSBOA) Hall of Fame. She introduced Suzuki string training to the Kingsport community and is an active member of the Johnson City Symphony Orchestra. Bachelder is widely recognized as an influential teacher who took a personal interest in all of her students. She was elected to the KCS Hall of Fame in the Modern Era category (retired post-1990). Ms. Mabel Doggett. Mabel Doggett retired from KCS in 1957 after 40 years of service. She taught at the “new Kingsport school,” Central School, and Lovedale/Woodlawn School, all of which were operational near the time of the founding of the city of Kingsport. Doggett was named principal at Jackson Elementary for the 1920-1921 school year and served in that capacity until her retirement. She was known as an educator who instilled in students “the desire to succeed.” Her unique and successful leadership style made her a beloved and respected principal who showed students on a daily basis that she cared about and believed in them. She frequently wrote to former students, particularly those serving in the armed forces, to encourage them or to celebrate occasions such as birthdays or weddings. After retirement, she continued to teach children, having a variety of books, games, and toys at her home for those who visited. Doggett was posthumously elected to the KCS Hall of Fame in the Legacy Era category (retired pre-1960). Mr. Richard A. “Rick” Everroad. Serving as a Health and PE teacher, Richard “Rick” Everroad coached tennis, baseball, track, basketball, soccer, and football during his 40 years with KCS. In addition, he was the FCA sponsor at Sevier Middle School and had a leadership style that promoted harmony among faculty and staff. Everroad served as principal at both Washington Elementary and Robinson Middle School, retiring in 2007. In retirement, he continues to work with young men and women who “need the attention of adults who will listen and give solid advice.” Through serving on the Board of Directors for the Bible Study Two Ministry and continuing to encourage those who taught under his leadership and still work with students, Everroad conducts his life in such a way to influence everyone to “do what is right for the kids.” He was elected to the KCS Hall of Fame in the Modern Era category (retired post-1990). Mr. Waldo Smith. After two years of service in Floyd County, KY schools, Waldo Smith came to Dobyns-Bennett High School as the typing and business teacher in 1947. He remained in that role until his retirement in 1984. While at D-B, Smith also served as sponsor of the Maroon and Grey yearbook. He taught typing in the adult education program and frequently worked the gates at home football and basketball games. He served in the U.S. Navy, completing 14 missions in the South Pacific and receiving the Bronze Star, the Asiatic Pacific Ribbon, and the Philippine Liberation Ribbon. Smith took an active role in the community and in a variety of professional organizations during his career and in retirement. He set high standards for himself and his students, and was known for encouraging all in his sphere of influence to strive for perfection and treat others with kindness and respect. Smith was posthumously elected to the KCS Hall of Fame in the Tradition Era category (retired 1960-1990). Mr. Howard Young, Sr. Howard Young, Sr. retired from KCS in 1976 after 23 years of service. Prior to his tenure with KCS, he taught in Mountain City, TN and Bluefield, WV. Young taught English at the former Douglass High School, Dobyns-Bennett and East Tennessee State University. He also served as band director at Douglass, teaching himself to skillfully play every instrument, with the exception of stringed instruments; and imparting that knowledge to hundreds of students. Following his retirement, Young was a professor of English at ETSU for another seven years. He believed that education was the key to success in life and spent his entire career helping students unlock their unique potential. He is remembered as a master of the English language who could hold students spellbound with his unique reading and storytelling abilities. Young was posthumously elected to the KCS Hall of Fame in the Tradition Era Category (retired 1960-1990). The 2017 Induction Ceremony will be held on Tuesday, August 1, 2017 at 11 a.m. in the Toy F. Reid Eastman Employee Center. The ceremony is open to the public and free to attend. 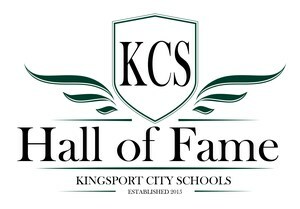 For more information on the KCS Hall of Fame and its inductees, visit www.k12k.com or click here.